UPDATE 7/5/16: After years of stonewalling, the Ny Carlsburg Glyptotek has agreed to return hundreds of looted antiquities to Italy. In a joint announcement released July 5, 2016, Italy and the Danish museum said they had reached an agreement for the return that included loans and broad cooperation on cultural matters. “Investigations have shown that the objects had been unearthed in illegal excavations in Italy and exported without licence, which is why from a point of reason and common sense there is a consensus that these particular objects should return to Italy,” the release said. · 110 etruskiske arkitektoniske fragmenter fra Cerveteri og Veii, inv. It is easy to forget that American museums were not the only ones caught in Italy’s investigation of the illicit antiquities trade. The Getty, the Met, the Boston MFA, the Cleveland Museum and Princeton received most of the attention for being linked to the network supplied by antiquities trafficker Giacamo Medici. But Medici objects were also traced to museums and collectors in Germany, Denmark, France, Switzerland, Australia, Japan. 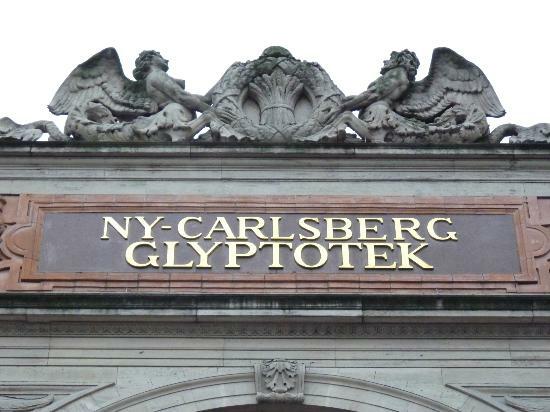 Today, eighteen years since the raid on Medici’s warehouse, at least one European museum is still refusing to return clearly looted material: the Ny Carlsburg Glyptotek in Copenhagen. Camilla Stockmann, an arts journalist at the Danish daily Politiken, has followed the story since 2006 and recently wrote me with an update: despite years of negotiations, the Copenhagen museum and Italy have still not reached an agreement. What makes the Glyptotek’s foot-dragging particularly striking is the quality of evidence supporting Italy’s claims. Medici’s criminal sentence identified several objects in the museum that are shown in Polaroids seized in Medici’s warehouse: a terracotta relief depicting a chariot race; an acroterion (roof ornament) depicting a winged sphinx; and terracotta reliefs that comprise a pair of mounted warriors. Then there is the tomb of an Etruscan prince from the Sabine Hills outside Rome, show above. It includes the Prince’s shield, weapons, banqueting equipment and bronze incense burners. Most striking are the remains of a horse-drawn carriage. “From Etruria and Latium, which stretched south west of the River Tiber, only a limited number of similar tombs are known,” the museum boasts in its display text. The tomb in question, archaeologists have concluded, is in the Colle del Forno necropolis. It was looted shortly before being discovered by Italian archaeologists in 1970. “Fortunately the tomb raiders didn’t do a thorough job,” Italian archaeologist Daniela Rizzo testified in Medici’s trial. Additional material from the tomb was recovered and is now on display in the archaeological museum of Fara in Sabine, waiting to be reunited with the objects in Copenhagen. Hecht’s memoir recounts purchasing the entire set from Medici for $67,000 and selling it to the Copenhagen museum for $1.2 million Swiss francs, or about $240,000. Finally, there are the Glyptotek’s Etruscan antefixes depicting Maenad and Silenus. They bear an uncanny resemblance to the one the Getty Museum acquired in 1996 and put on the cover of the its antiquities catalog before returning it to Italy. The Getty acquired its antefix from the Fleischmans, who purchased it from the Hunt Collection, which was largely composed of material from Medici. Are the antefixes related? Pictures tell the story: on the left if the Getty’s, returned to Italy in 2007. On the right is one of the Copenhagen antefix, which remain at the Glyptotek. Further evidence about the Glyptotek’s role in the illicit trade comes from Medici’s principal connection to the art market, American antiquities dealer Robert Hecht. Mogens Gjødesen, the museum’s director from 1970 to 1978, was tight with Hecht, a frequent visitor to the museum. In in his handwritten memoir, Hecht describes sharing pickled herring and drinking akvavit with Gjødesen and his wife on several occasions. “A former curator told me that he (Hecht) was called the ironmonger amongst the employees since he always showed up with a plastic bag with artefacts that he wanted to sell,” says Stockmann. A 1970 letter from Hecht to Mogens Gjødesen discusses sending “the children” to Copenhagen. Recently talks have restarted, Stockmann told me. Both sides agree that all items related to the tomb of the Etruscan Prince should be returned to Italy in exchange for comparable loans. But the terracotta antefixes have “been the subject of a conflict.” In particular, Italy objects to language in a draft agreement on cultural cooperation that would prevent it from bringing further claims in the future. Usually, stonewalling is a good sign that problems go far deeper. So I’ve looked into our archives to see what else I could find. 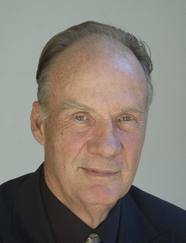 As it happens, Gjødesen was a visiting scholar at the Getty Museum in 1978 and 1978, just as his directorship at the Glyptotek was coming to an end. While at the Getty, he had the opportunity to weigh in on two important acquisitions being considered by the museum. 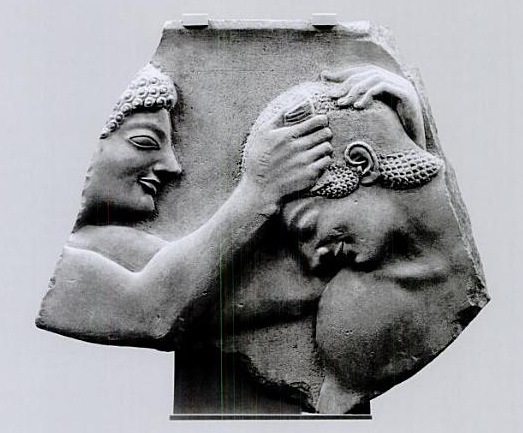 The first was an archaic relief showing a Greek soldier binding the head of a fellow warrior. 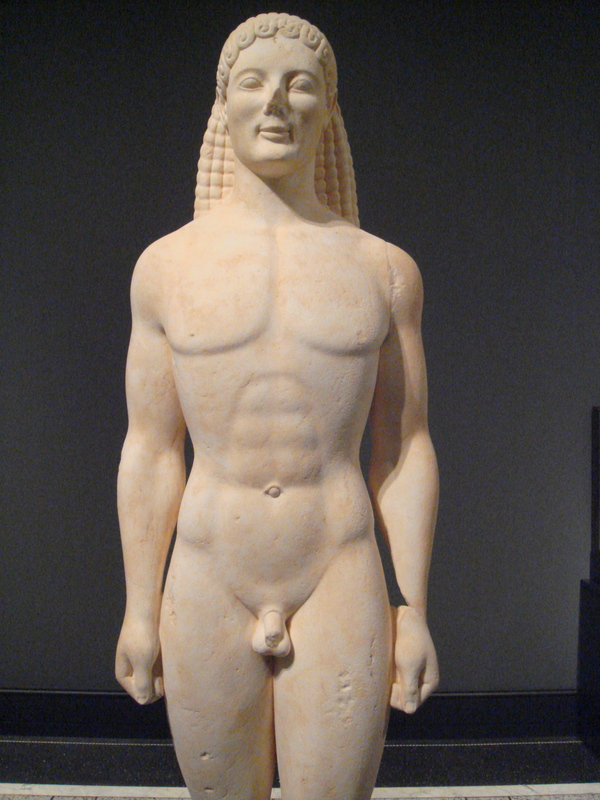 The Getty’s crooked antiquities curator Jiri Frel dubbed it The Death of a Hero. Several experts were dubious about the authenticity of the relief, noting the execution of details like the closed eye seemed off for the Archaic period. At $2.3 million dollars, it was not a decision to be made lightly. From time to time it happens that a discovery is made which elaborates, extends or totally changes our conception of Greek art. This has happened once again. I am, of course, referring to the archaic Attic relief, dating from about 525 B.C. which you have determinedly tracked down during the past years and are now in a position to submit to the Board of Trustees of the J. Paul Getty Museum with a view to its acquisition. You have asked my opinion. To put it bluntly, the relief is a sublime masterpiece of incredible subtlety, sentiment and expressiveness, a work of grace, intimacy and poetry, with a surprising touch of realism. It needs no letter of recommendation. So far the master remains anonymous, though not unknown to us, for in 1958 a relief, obviously by the same hand although of a different but for the time equally unexpected theme, was unearthed at Anavysos in Attica and brought to the Athens National Museum. It is a miracle that this piece of sculpture was produced and is preserved. It is an even greater miracle that it is available. The opportunity should not be missed; it is unlikely to return. I cross my fingers for you and for the museum. The Getty acquired the piece for $2.3 million in 1979. There are indications that Frel received a substantial kickback in the deal. Soon after, experts from around the world condemned the relief as a crude fake. The carving was incorrect, particularly the heads and hands, noted Brunhilde Ridgeway. The fragmentary image was impossible to reconstruct in a credible way, and no funerary relief of the Archaic period was known to have the same proportions. In the 1980s, the Getty declared it a fake and returned it to the dealer. It was not the only fake whose praises Gjødesen sang while at the Getty. Soon after the archaic relief was acquired, a head attributed to the legendary master Skopas was offered to the Getty. It had been “in a private French collection since the 1830s” and considered “one of the most important pieces of ancient art in the United States,” Frel claimed. Gjødesen was among the scholars who lent support to Frel’s claims. 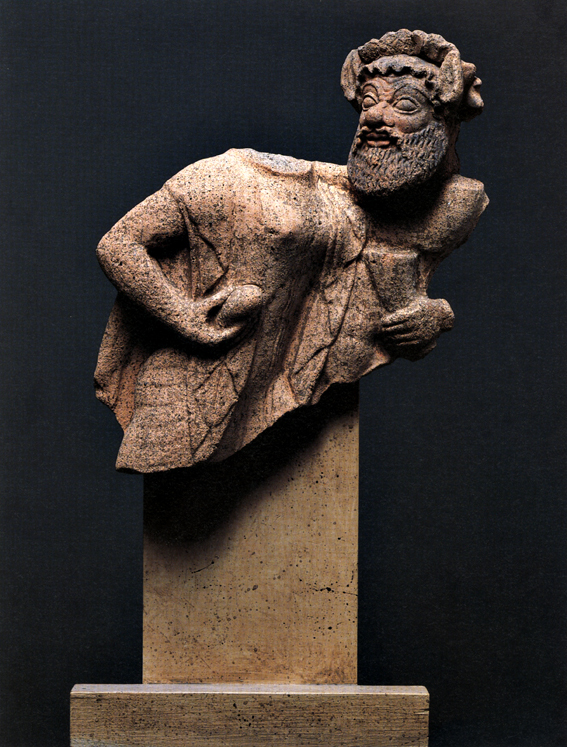 The Skopas head was later established to be a modern forgery. Was Gjødesen fooled? Or was he, like Frel, part of a scheme whose depths we have not fully plumbed? And when will the Copenhagen museum come clean? It is no coincidence that The Great Giveback, Hugh Eakin’s lengthy argument against the repatriation of looted antiquities, landed in The New York Times on Sunday, just as the directors of America’s leading art museums gathered in Kansas City for their annual meeting. A key item on the agenda in Kansas City that day was the museum community’s handling of looted antiquities, an issue that has roiled the art world for more than a decade. The Assoc. of Art Museum Directors (AAMD) has repeatedly tried to put the issue to rest, adopting policy changes in 2001, in 2004 and again in 2006 as the controversy metastasized into a full bore international scandal. In 2008 the AAMD revisited the issue yet again, adopting acquisition guidelines that required a clear ownership history dating back to 1970, a position that put them in line with most archaeologists. The 2008 policy was heralded as a turning point for the American museums and a victory for reformers like the Getty’s Michael Brand and Max Anderson, now in Dallas, who felt it was time for American museums to sever their ties to the black market. But those reforms are under attack. Museum directors are seeking to reverse the policy, which drives a wedge between them and wealthy patrons whose antiquities collections can no longer be donated in exchange for tax write-offs. These dissidents have made ample use of the policy’s major loophole, which allowed museums to violate the 1970 rule if they posted the acquisitions on the group’s Object Registry with a justification of why. In short, the Object Registry has become a tool for laundering suspect antiquities. Once objects are posted there, museum officials believe, the statute of limitations clock starts ticking, giving foreign governments just a few years to investigate, build a case and file a claim before their time expires and the objects emerge sparkling and clean. More broadly, the series of reforms taken by many American museums in recent years — which include taking claims seriously and sending looted antiquities back to the countries from which they were stolen — are under attack from within. That brewing fight is the context for Eakin’s polemic, which notably takes aim not at source countries so much as museums like the Getty and Dallas that have embraced reforms and begun to proactively search their collections for problematic objects. With Philippe de Montebello retired and Jim Cuno forced to moderate his view by the Getty board, Eakin has emerged as the spokesman for the dissidents. Recent events have only raised the stakes, for the controversy over looted antiquities shows no signs of going away. 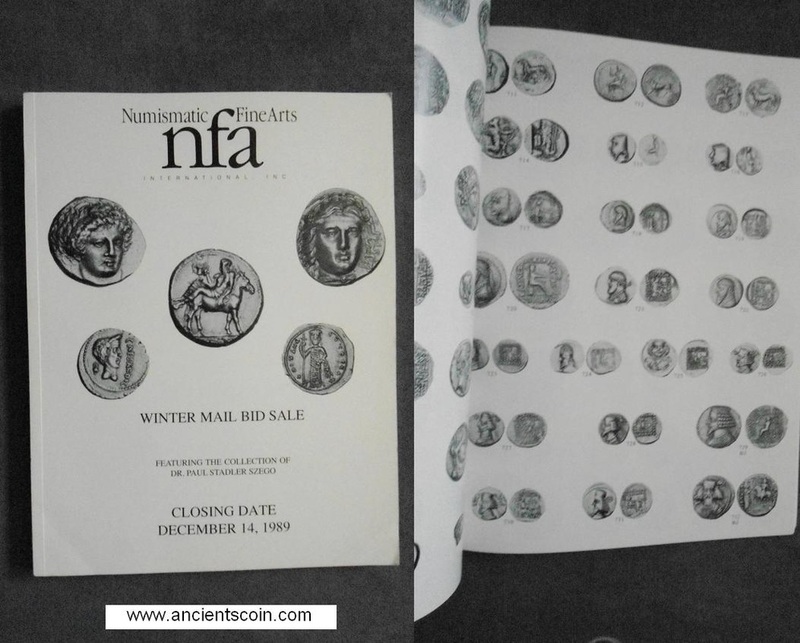 The depth of the problem with American collections of Classical antiquities is just beginning to emerge, with more revelations certain to come as researchers comb through the seized archives of the illicit trade’s most prominent middlemen. Meanwhile, over the past year the search for loot in American collections has gone global, with countries like Cambodia, India and Turkey bringing claims. Museum directors know better than anyone that these claims are the tip of a very large iceberg. To the ears of some in the art world, that sound is the creaking of the floodgates swinging open. Eakin’s piece, then, is best understood as part of a broader effort to convince the public that claims involving looted antiquities are baseless and those who cave in to them, cowards. The reforms have not only failed to stop looting (a “scourge” often given lip service by museums, but never more.) They have “spurred a raft of extravagant new claims against museums — backed by menacing legal threats.” Unless American museums grow a backbone and fight these foreign claims to the death in court, Eakin suggests, someday soon they will be empty of ancient art. As he has done in the past, Eakin relies on a mosaic of selective facts and careful omissions to cobble together his argument. Many of its most serious flaws have already been rebutted. Lee Rosenbaum — who herself is often skeptical of repatriation claims — denounced it as a “distorted, often mistaken opinion piece” and concluded Eakin was “an extremist on the anti-giveback side.” Archaeologist Paul Barford was less kind, saying the piece “illustrates quite clearly the robber baron attitude of entitlement, hypocrisy, xenophobia and supremecism when it comes to appropriating for their own uses other peoples’ cultural property, that internationally is losing America friends.” Cultural property lawyer Rick St. Hilaire noted that Eakin’s argument “overlooks the general principle that stolen property cannot be owned lawfully or that contraband antiquities (smuggled antiquities) are somehow legitimate.” Speaking in Eakin’s favor, I could only find three voices: Peter Tompa, the lobbyist for collecting interests; blogger Judith Dobrzynski, who calls the piece “pitch-perfect” but acknowledged a conflict of interest in the subject; and LA Times art critic Christopher Knight, who celebrated the piece’s “nuance” in a tweet. Let me focus on something I think Eakin gets almost right — his summary of recent events. (See below for his major omission.) Other archaeologically rich nations have been inspired by Italy’s success. In bringing their own claims, many have been less disciplined than Italy, which supported its demands with evidence — much of it photographic — gathered during a decade-long criminal investigation. But here Eakin misses an opportunity to articulate the key flaw of some recent repatriation requests — the conflation of historical gripes with the modern criminal behavior of looting, smuggling and fencing. For example, most of the objects Turkey is demanding from American museums were acquired since the 1960s and have no documented ownership history before that, suggesting they are likely the product of illicit excavations. Whether Turkey has evidence to support those claims remains to be seen — unlike Italy, the Turks are making their case to museums before sharing it with the public. But Turkey has also asked several European museums to return objects that were removed nearly a century ago, sometimes by archaeologists operating with government permission. And to increase their leverage, Turkey has denied digging permits to foreign archaeologists who played no role in the alleged wrongdoing. All of this — coupled with Turkey’s own history of plunder — has led to a skeptical reception of claims against American museums that may or may not be backed by clear evidence. And with good reason. Likewise, Greece and Egypt have frequently included colonial-era claims with requests for the return of recently looted antiquities. Some of those historical claims may carry ethical weight, such as the reunification of the Parthenon marbles. But more often they blur the moral and legal clarity of claims involving modern looting. The same can be said for occasional statements that all things made in Country X should be returned to County X, which discredit the nations that make them. So, there is legitimate reason for skepticism of repatriation claims. But these are not the arguments Eakin chose to make. Instead, he invents a picture of “terrified” museums being cowed by powerful foreign governments into giving back America’s innocently-acquired art. This description of the situation makes for an almost laughable reversal of reality. What motivates repatriation claims from source countries is not a desire for a few more pieces of ancient art. The basements of their museums overflow with the stuff. What they want is respect. Let’s consider Eakin’s innocent acquisitions. If there has been a lesson from the last decade of controversy — and if there is one point made clearly in Chasing Aphrodite — it is that American museum officials were far from innocents. In case after case where internal museum records have come to light — via lawsuits or leaks to reporters — there is clear evidence that museums officials were aware they were buying recently looted antiquities. Met officials knew the Lydian Hoarde was looted and sought to hide it, as Turkey learned during its six year legal battle for their return. Dietrich von Bothmer kept a map of the precise tomb in Cerveteri from which the Euphronios krater had been looted, as we learned from Marion True’s sworn deposition. The Boston MFA’s longtime antiquities curator Cornelius Vermeule was close personal friends with Robert Hecht and acquired hundreds of looted objects from him, as the Italian investigation and Hecht’s own journal revealed. The Getty case, our most revealing window into a museum’s antiquities acquisition process, is startlingly clear: “We know it’s stolen,” Harold Williams said in a confidential 1987 meeting about the acquisition of suspect antiquities. “Are we willing to buy stolen property for some higher aim?” Marion True discussed the contents of looted tombs in correspondence with Giacamo Medici, and declared the golden funerary wreath “too dangerous” before greed got the better of her. Her predecessor Arthur Houghton visited Medici’s Swiss warehouse and sought his help tracing the Getty’s griffins to tombs in Southern Italy. Houghton’s predecessor Jiri Frel ran a provenance forgery workshop out of the antiquities department and acquired thousands of looted objects through a tax fraud scheme whose scope is just now becoming apparent. In other words, the evidence amassed to date makes abundantly clear that many of our highly educated antiquities curators and museum directors were not total dupes when it came to their role in the illicit antiquities trade. This is Eakin’s most glaring omission and the reason why repatriation is — at times — a reasonable response to foreign claims. They are the pound of flesh that must be paid for our collective cultural sins. How much evidence is needed to establish that an object is the product of the illicit antiquities trade and should be returned to the country from which it was stolen? For all the debate about acquisition policies, there has been nearly no debate or policy papers on this question, which is far more pressing concern facing museums today. Eakin reminds us repeatedly that museums have returned contested antiquities under no legal order and often with no knowledge of their precise findspots. Such statements remind me of a phone conversation I had in 2006 with the Met’s de Montebello. He told me that the Met was prepared to give up its beloved Euphronios krater if Italy could present “irrefutable proof” of the precise spot from which it had been looted. Soon after, the Met’s general counsel informed him that there was no such legal standard — not even in cases of capital murder. Montebello left it to a spokesman to call back and sheepishly clarify that under the law, the vase could be seized by US law enforcement based upon probable cause. That is the legal standard for civil forfeitures. Apparently Eakin did not get the memo. The cases that Eakin suggests are spurious are still being negotiated, and we don’t yet have access to the full array of evidence. But what has come to light suggests they are far from fickle. In the case of Cambodia’s claim on the Khmer statue in the Norton Simon, the precise find-spot is well-known and not disputed — the statue’s feet remain in placed today at the temple complex from which it was looted. In the two cases where claims from Turkey have been resolved — Dallas and Penn — there was compelling evidence. 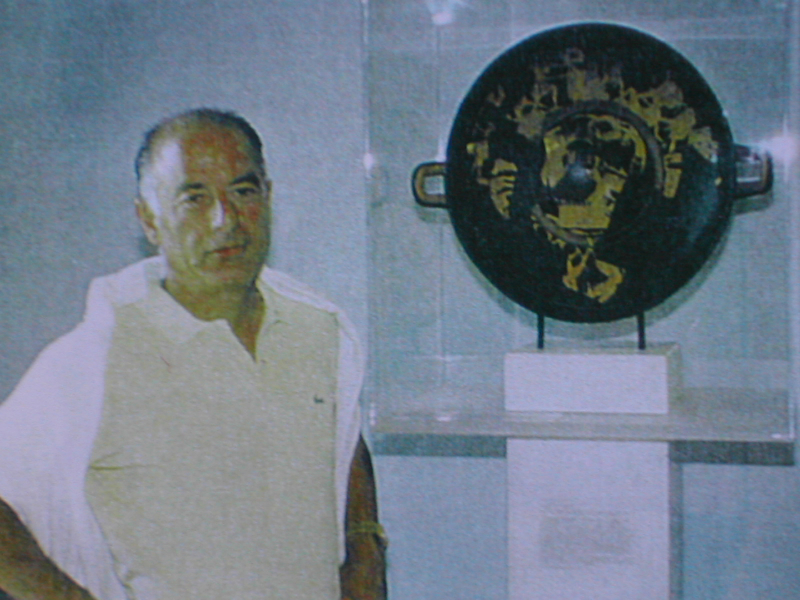 Penn acquired the Trojan gold in 1966 from Hecht, whose ties to Turkish looters are well documented, and scientific tests later found it was consistent with samples found in Turkey. In the case of the Orpheus mosaic, investigators found Polaroids of the mosaic in situ when it arrested the alleged looters. Museums hoping to fight in court had better make sure they have no damaging internal records detailing their acquisition of looted antiquities, for those are likely to come out in discovery, as Sotheby’s recent learned. They had better also be sure that no other objects in their collections have dubious origins, because their legal fight will inspire a thorough examination of their entire collection. This was the lesson learned by the Getty, which, as Eakin notes, chose to fight rather than accept the voluntary return of six clearly looted antiquities. Several years and millions of dollars in legal fees later, they ended up returning more than 40. Eakin laments the cost to museums of dealing with repatriation claims. The cost of litigation is far far higher. This is not to mention the public relations consequences, which concern museums far more than a few pieces of ancient art. The true and lasting damage to American institutions over this past decade has not been legal fees or lost antiquities. It has been the growing public perception that they are engaged in an illegal activity that, at its heart, is a deep betrayal of their public mission. If they follow Eakin’s advice, they will double down on that betrayal. The enlightened solution that Eakin seeks is the one being taken by the institutions he targets — rebuilding trust with the public and foreign governments by taking claims seriously, engaging in proactive research of their collections and sober evaluation of the evidence and when appropriate, returning a token of the stolen property in their collections in exchange for a collaborative relationship with a potential adversary. As Eakin well knows, this approach is not “making great art ever less available.” It is providing museum visitors with remarkable rotating exhibits of the world’s great treasures while moving both source countries and museums toward a future where questions of ownership recede and the focus becomes cooperation and education. The true cost of looting has always been hard to measure: how does one account for what is lost? Perhaps this is why some — Americans in particular, it seems — tend to think of looting as a victimless crime. In truth, looting has many victims — the artifacts lost or damaged during the act itself; the defaced monuments and pockmarked archaeological sites left in its wake. Then there is the more pernicious effect of plunder and the black market it fuels — the corruption of our knowledge about the past. This is what the Getty Museum confronted in 1984, after the hasty departure of its charming and crooked antiquities curator Jiri Frel. In his decade at the Getty, Frel had used any means necessary to build the museum’s antiquities collection into one worthy of the Getty’s wealth. In 1984, when his criminal activity was discovered amidst an IRS investigation, he abruptly left the country, leaving colleagues at the museum to clean up the mess. A confidential June 1984 memo from acting antiquities curator Arthur Houghton to museum director John Walsh was an early attempt to account for the damage done by Frel’s collecting practices. We’ve posted it below as part of our Hot Docs series, a effort to publish some of the key confidential files we used while reporting Chasing Aphrodite. — Falsified provenance: Many of the ownership histories of objects in the collection were “mythical.” Frel and his trusted dealers had made a parlor game of inventing bogus European collections like “Esterhauzy” to cover the fact that the objects being purchased were fresh from an illicit dig. — Bogus attributions: Frel had often gussied up the attribution of objects to make them more palatable to the public or the Getty’s own acquisition committee. Roman copies were listed as Greek originals; a 3rd century BC sculpture became the only surviving piece by a Greek master. Then there were the lies that mostly hurt the Getty: Frel had convinced the museum to dramatically overpay for objects, with some of the money likely coming back to him in kickbacks. He had inflated valuations of objects as part of a tax fraud scheme and invented phony donors — many still honored on Getty display placards– who he used to launder objects coming into the collection. 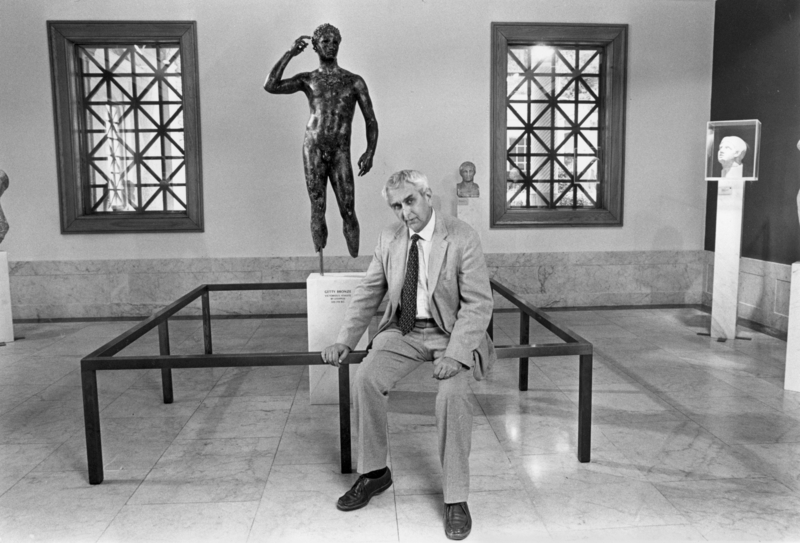 The Getty bought his sculpture in 1979, believing it was a head of Achilles by Skopas, a famous Greek sculptor. Subsequent research showed that it was a modern forgery. The truth, in other words, was lost. Today, similar distortions and fabrications litter the antiquities collections of America’s great museums, which are tax-exempt because their public mission is education. In doing business with the black market, museums have betrayed that mission and filled their shelves with what amount to beautiful lies. HOT DOC: June 1984 confidential memo from Arthur Houghton to John Walsh. Jiri Frel: Scholar, Refugee, Curator…Spy? In the early 1980s, the antiquities department at the J. Paul Getty Museum was a hotbed of whispered political intrigue. Rumors swirled that the department’s Czech curator, Jiri Frel, was a Communist spy. And many believed the deputy curator, former State Department official Arthur Houghton, was a CIA plant tasked with keeping an eye on Frel’s activities. As part of our Hot Documents series, we’ve posted the entire FBI file here. 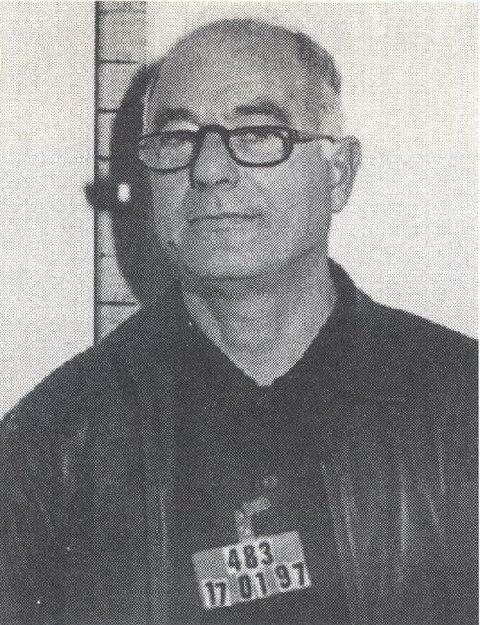 Frel was born in Czechoslovakia 1923 as Jiri Frohlich to a Czech father and Austrian mother, the FBI records show. (The family changed the surname to Frel in 1940s, possibly to hide Jewish roots.) Frel entered the United States in 1969 as a visiting scholar at Princeton University’s Institute for Advanced Studies. The Institute had long been an intellectual home base for leading scholars, including Albert Einstein. After a year at the Institute, Frel was granted political asylum with the help of lawyers at the Metropolitan Museum of Art, where he had begun working as an research associate in the Greek and Roman Department under Dietrich von Bothmer. Interestingly, Frel cites additional assistance from George Kennan, the former US Ambassador to the Soviet Union and a leading historian at the IAS. During an interview with FBI agents in September 1971, Frel was “extremely cooperative,” the records show. Frel denied ever being a spy but he admitted to providing Communist government officials with the names, background information and psychological assessments of those he met on his scholarly travels throughout Europe during the Cold War. “He stated that while he was never aware of this information being used for intelligence purposes, he often suspected that the Chechoslovak [sic] Intelligence Service reviewed copies of this form,” the report notes. The FBI seemed particularly interested in Frel’s ties to his mentor at Charles University, a woman whose name is redacted in the FBI file. We shared the FBI file with an expert on academic life under Communist Prague, UC Berkeley Associate Professor John Connelly, who was able to identify the woman as Ruzena Vackova, a professor of classical architecture in Prague who was condemned to 22 yrs. prison in 1952. According to Connelly, Vackova was one of the few in academia to speak openly against the Communist regime and was the only professor in Prague to march with student protesters. 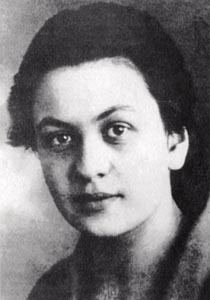 In Connelly’s book “Captive University,” he describes Vackova telling a group in March 1948, “…if a criteria for dismissing these students was participation in these demonstrations, then I would like to share their fate.” (p.194) Vackova spent 16 years in prison and her dissent continued after her release, Connelly told us in an email. “She was an extraordinary, outstanding person,” he said. The FBI had picked up on whispers that Frel may have been a Communist agent who turned Vackova in to the authorities. “Since he was one of her protégés at Charles University in Prague, a rumor began to spread of which he was aware, that he had somehow cooperated with the Communist government in her demise,” the report notes. Frel denied the claim and railed against the Soviet overlords in his Czech homeland, saying he “vehemently disagrees with the Communist regime.” Yet the curator also volunteered (we imagine somewhat sheepishly, but the bland FBI prose doesn’t say) how he cultivated the regime’s approval by once applying for the Communist party. Frel said he applied “to keep his position at the university,” and was rejected because of his incompatible political views. Connelly believes that it is unlikely that Frel had any role in Vackova’s arrest. “He was probably a conformist (like the overwhelming majority) who tried to anticipate the will of the regime,” Connelly wrote to us. Few who knew him at the Getty would think of Frel as a conformist, but during his years there he certainly showed a flare for telling those in power what they wanted to hear while doing what he damn well pleased. The story told by the documents is not complete: 10 pages were redacted, citing exemptions for national security and privacy. But it’s clear the FBI closed its case in 1971, concluding Frel had no ties to foreign intelligence services. Frel died in Paris on April 29, 2006. As for Houghton and his ties to the CIA, the rumors were not far off. 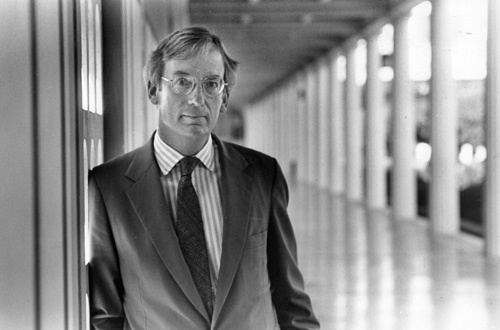 Before coming to the Getty in 1982, he had spent a decade working for the State Department, including time in its bureau of intelligence and research as a Mid East analyst. Houghton was fond of cultivating his image as a man of mystery. In truth, he had burned out on the diplomatic bureaucracy and chose a career that brought him closer to his long time passion — ancient coins. Houghton remains active in the field to this day.